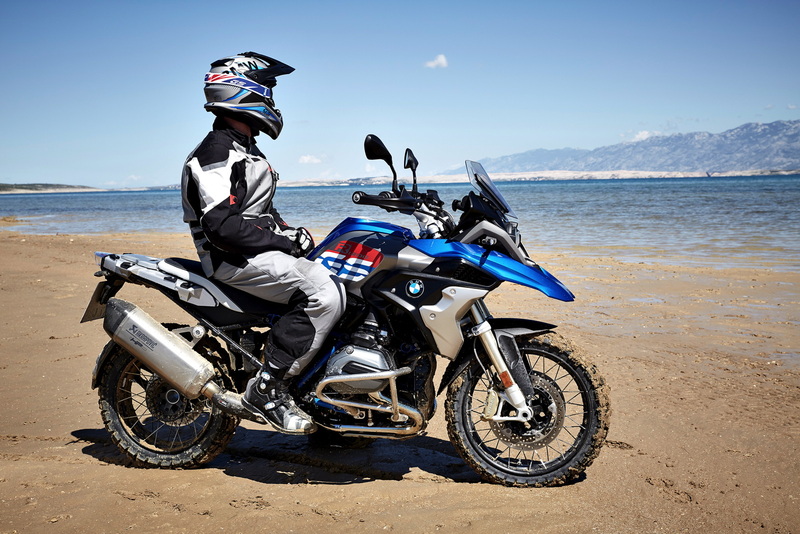 With the new BMW R 1200 GS, BMW Motorrad expands the GS portfolio not only in the form of additional product optimizations but also by means of further potential broadening of the motorcycle’s properties. 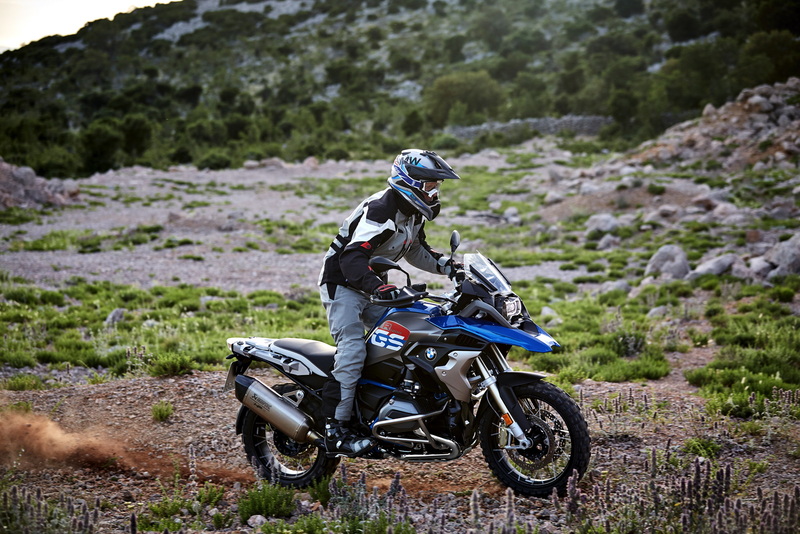 For the first time, customers can give a BMW GS a more marked touch of enduro or distinguished style to suit its preferred area of use by ordering the style packages Rallye and Exclusive. The most popular travel enduro bike in the world, the R 1200 GS has now been optimized in a wide range of areas. Designed for even greater versatility than before, it taps into a previously unknown breadth of properties, ranging from dynamic performance to comfort and off-road suitability. This is due to selective improvements, numerous new features and not least a much-expanded program of optional equipment and optional accessories. 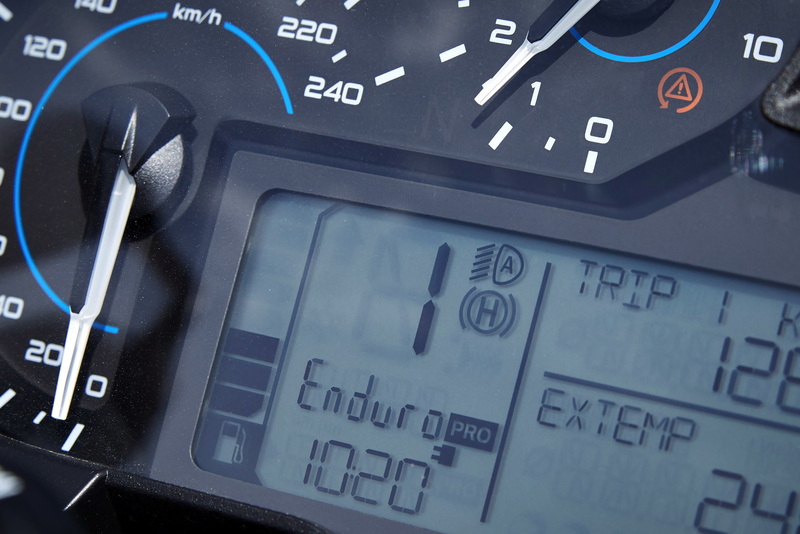 The riding modes “Dynamic Pro” and “Enduro Pro”, activated by means of a coded plug, also offer customization options which allow the character of the motorcycle to be adapted. Other elements of “Riding Modes Pro” are the new set-off assistant Hill Start Control for convenient hill starts, ABS Pro for even greater safety when braking, even in banking position, and the dynamic brake light which is even more effective in drawing attention to the fact that the motorcycle is braking. Electronic suspension Dynamic ESA “Next Generation” with fully automatic self-leveling suspension function. 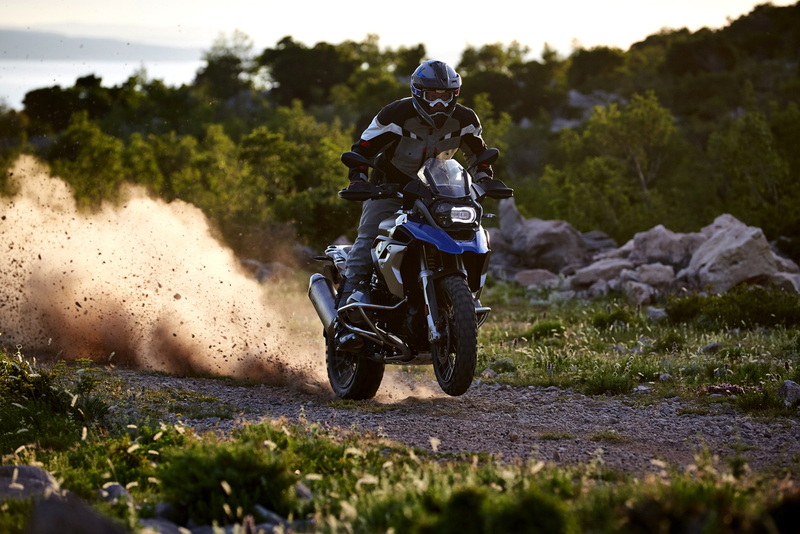 A whole new dimension of riding safety, performance and comfort is harnessed with the optional BMW Motorrad Dynamic ESA “Next Generation” (Electronic Suspension Adjustment): here, the damping automatically adapts to the situation depending on riding condition and manoeuvres, and there is also an automatic self-leveling function to compensate all load states. 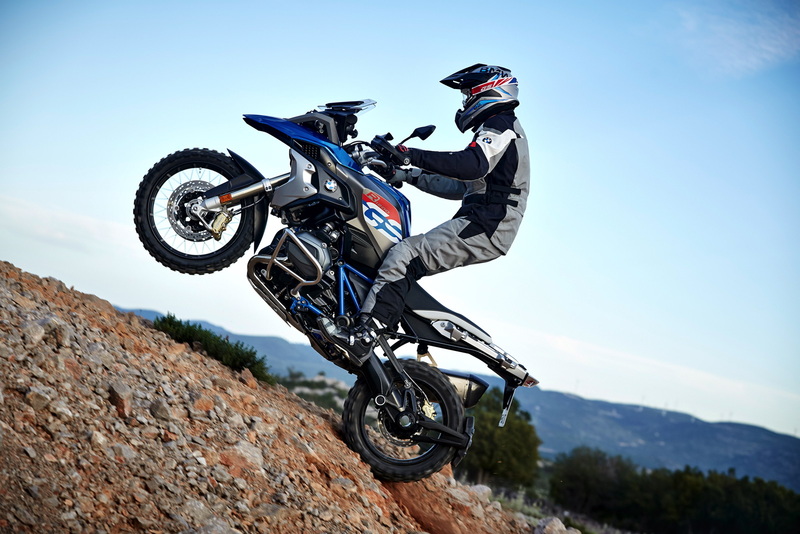 The Rallye package available ex works allows the new R 1200 GS to be optimized for more ambitious off-road use. Off-road performance is significantly increased due to an increased spring rate (“harder suspension”), longer spring struts and extended spring travel. While the underlying design architecture of the R 1200 GS has been preserved in the new version, optimized ergonomics in the knee area ensure further improved off-road qualities, while more pointed contrasts, new paint finishes and the two optional equipment packages Rallye and Exclusive emphasize the distinctive talents of the R 1200 GS in its differing forms. Details have been optimized on the front mudguard and at the center of the front wheel cover, while small slipstream deflectors known as winglets add a touch of aerodynamic perfection. The trim of the air intake and the side fuel tank trim panels have been newly designed, too. New styling has now also been applied to the cooling air ducts and radiator trim elements, which either feature a galvanised surface or are made of stainless steel (Rallye and Exclusive). 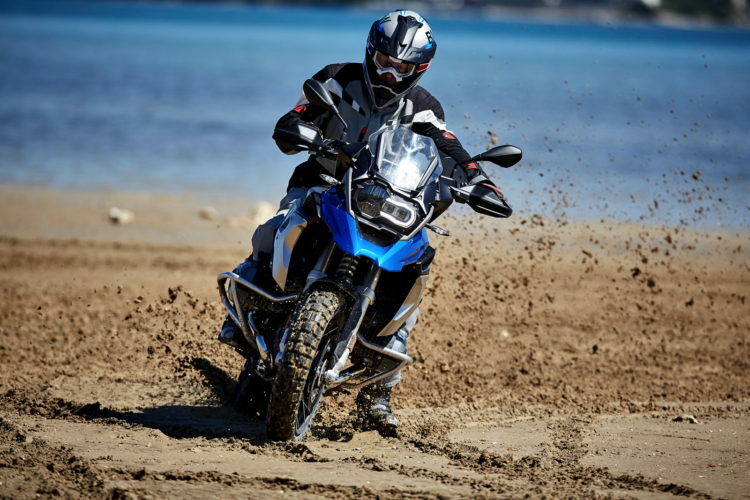 The off-road character of the new R 1200 GS is particularly emphasized in the Rallye version. The paintwork in Lupine Blue metallic, the over-painted deco elements on the fuel tank sides in BMW Motorsport colors and the frame in Cordoba Blue go together with the black drivetrain to create the sportiest series production GS of all time. The sheer presence of the R 1200 GS Exclusive is underscored by means of fuel tank side trim panels in Monolith metallic matte with clear over-painted deco elements, a front wheel splash guard and central fuel tank cover in Iced Chocolate metallic and a frame finished in Agate Grey metallic matte. The black drivetrain and the gold-finished brake calipers lend a refined contrast here. More marked styling and attractive color variants. Innovative functions provided by the latest generation of Dynamic ESA: automatic damping mode and automatic self-leveling suspension for a new riding experience. Riding Modes Pro with DTC, Hill Start Control and the new customizable modes Modi Dynamic Pro and Enduro Pro as optional equipment items ex works.